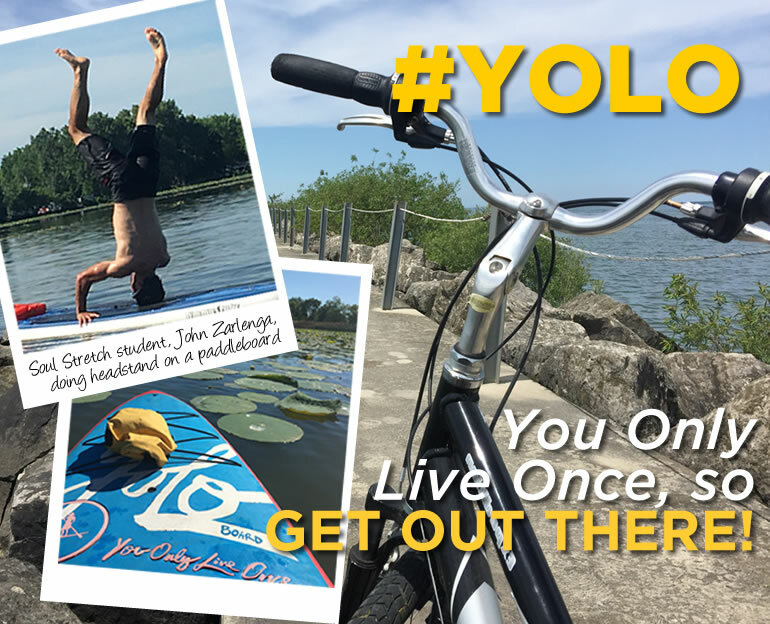 In recent years, a catchy phrase has become popular among young adults across our country: #YOLO (You Only Live Once). The acronym is used as a kind of rallying cry to convey the idea that you only go around once — and you may be missing out on a lot of exciting things if you aren’t bold and fearless and live each day to the fullest. Those of us in an older demographic have lived by the Latin creed of carpe diem (seize the day). For my generation, carpe diem reminds us make the most of each and every day we are given. I never really paid much attention to #YOLO until late last year, when I was diagnosed with breast cancer. I didn’t know what it was or what it stood for until one of my instructors explained it to me. Then, suddenly, like a smack in the face, #YOLO starting popping up everywhere! I saw it on bumper stickers and t-shirts, backpacks and travel journals, coffee cups, and even paddleboards! It was like the Universe was trying to get my attention and asking me to say yes where I was often saying no. Now, my husband will tell you I am many things, but the one thing I am not is a slacker. Way before my cancer diagnosis, I already held firm to the belief that every day is a gift, that tomorrow is promised to no one, that one should always aim to Live Like You Were Dying as Tim McGraw sang all those years ago. me to stop wishing my days into the far off future and start enjoying what is going on right now. We are all responsible for ourselves. No one is going to live this life for us. So get out there and do something amazing today!